This is a guest blog post by book designer Stephen Tiano. When asked whether I’d be interested in guest-blogging or answering questions interview-style on the subject of my best practices in social media, the opportunity struck me as too good to pass up. After all, I’m one who’s run both hot and cold on social media. I know Ari thanks to social media—specifically, Twitter. We initially sparred a bit; as I have a bit of a gag reflex that kicks in when I hear, speak, read, or write about marketing. See, I am convinced there are far too many people selling marketing how-tos indiscriminately to anyone willing to plunk down the price of admission. I view such people as kindred to authors of books about self-publishing that say little about writing books worth publishing. Those that can, do. Those that can’t, sell. Those that can’t sell, teach how to sell. A freelance book designer and layout artist, I love making books. I also love getting paid to make books. The lion’s share of my work has been for smaller, independent publishers. Lately—the last two years—I’ve heard from many more self-publishers, a few of whom I’ve worked with. I first went online, on a text-only interface, in 1998. At first, I employed the internet to troll help-wanted ads from newspapers around the country. Until 1998, I used to get the New York Times and Newsday each Sunday, and peruse through the want ads for publishers looking for book designers and layout artists. I queried them by letter, fax, or phone call; and went on the occasional interview. But only after making sure they understood I worked off-site, from my own studio at home. I also took part in a number of online forums: on freelancing, software that I used, and graphic design. These I think of as my first foray into social media, although I believe that term was not yet used back then. I use the term “social media” because in addition to using such forums as a means of obtaining information and assistance when problems arose on my book design and layout projects, I am a night owl, working late and sometimes in need of commiserating deep in the night with others who get it. I learned quickly there were people on the other side of the world, in daylight hours, awake and reading my posts who would offer a word of long-distance human contact. As I gained more experience, both in my work and in my knowledge of the internet’s possibilities, all the marketing of my services took place online. At first, I used email or other online means of contact: answering online ads, job postings, and newspaper ads that provided email addresses or URLs of publishers and book production houses. Eventually I put up a website, Stephen Tiano | Book Designer, Page Compositor & Layout Artist and a blog under the same banner to introduce myself, describe what I do, and present samples of my work. My website and blog have gotten me as much work as contacting publishers and book packagers directly, either unsolicited or in answer to postings and ads seeking a freelance book designer. But the freelancer’s lot is to always be seeking the next paying project. So, although I resisted MySpace and Facebook, when I heard of LinkedIn, dedicated to connecting people for professional purposes, I thought that would be my ideal entry into social media. LinkedIn, as of this writing, has turned out to be a bust. I’m sure that half the people there are genuinely there to make connections that will enhance their professional standing, whether by providing connections to get employed or to advance up the ladder in their field. But the other half surely seems to be comprised of human resources professionals intent on filling out there Rolodexes. At some point, I became aware of Twitter and joined as @StephenTiano. Initially, it sounded like a probable time-sink. And while it can be that, I have also found it valuable in numerous ways. For one thing, as I continue to be a night owl when I am at work on a book or some other project, it helps me immensely to have Twitter to turn to for a break of thoughtful reading and conversation. I always try to follow people who are somehow involved in book publishing, book design, photography, graphic art, and stuff like that. My conversation often runs to those people, even when I tweet about anything but my stated areas of interest. But I have been surprised beyond measure at how many work leads I receive. Additionally, my circle comes to include some marketing people—among them Ari Herzog—who share knowledge not merely of the selling of selling, but of selling one’s brand when their’s really is a brand of something to sell, whether it is a service, such as I provide, or a product like a book. Other social media specialists I follow on Twitter are Chris Brogan, Darren Rowse, and Brian Clark. I tend to just read them and their exchanges. I don’t involve myself in marketing strategy conversations, as they tend to cover areas far afield from my work as a freelance book designer. Most of my interaction takes place with people in publishing: writers, graphic designers, and photographers. I wonder whether the landscape has begun to change in a way that I would rather not see. 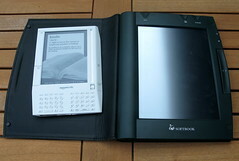 E-books and the Kindle offer the potential to leave behind the tactile sensation and smell from cracking open a new book. I think people who like physical books will last at least another generation. But between the diminishing forests and ability to maintain paper production, and how e-books and the Kindle are catching on, who knows whether books will be around forever. I think printed books will last more than one generation (I hope). This can be due to tradition or because the electronic form is so segmented. You post was very entertaining, especially to a brand new self published author. Printed books will last more than one generation because of the fact that they actually, physically last more than one generation. I have books that are over 100 years old. The reason I don’t own a Kindle – the e-books only last as long as Amazon decides to keep their DRM servers running. Also, I can’t loan a Kindle book to a friend. I know I’m not alone in my thoughts here. Russell Tripp´s last blog post..Who Wants To Be A "Regular Guy"? I Do! In the middle of the night I’ve Twittered with both of you. We’re working night owls in the same time zone & area. On Charlie Rose’s show Jeff Bezos said the kindle will have color image content in a few years. My current full size and introductory e books are centered around images of Post Conceptual UnGraven Image Art. The kindle in current form cannot support my books. Even when it does, books that contain art are always going to be better in a larger format, where using a good PC monitor screen or a printed book. Just as Stephen has been able to showcase his work i his website (and It’s a well done site! ), artists are now able to reach audiences and collectors themselves. The same kind of quiet revolution happeing in publishing is stirring up in the art world.